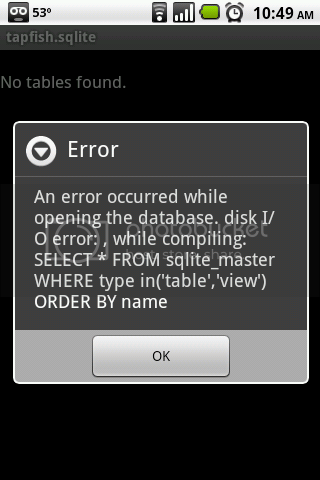 ROMs SQLite on the Fritz? Discussion in 'Android Development' started by Mindbenda84, Sep 23, 2011. This is disheartening. I don't make custom Rome nor do I plan on getting one, but I assume if anyone on this forum would understand this it'd be you guys. I need SQLite editor working at all times, how do I fix it?